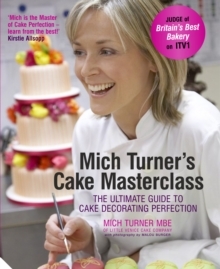 In Cake Masterclass, award-winning cake designer and presenter of Britain's Best Bakery, Mich Turner, teaches you how to bake impressive cakes for every occasion - from a classic sponge, to decadant chocolate, and traditional fruit and ginger cakes. In the masterclass section, Mich shares her award-winning decorating techniques to teach you how to create truly outstanding cakes. With step-by-step instructions, Mich will show you how to make the classic sugar-paste rose, tiered cakes with piped lace, hand painted flowers, Christmas candy and much more. 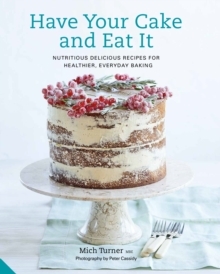 With experience baking for top celebrities like the Beckhams, Madonna and Sir Paul McCartney and running cooking classes around the world, Mich can teach you how to become a cake baking master at home.